Renting a housekeeping cabin is by far the most common way people choose when they go walleye fishing in Ontario’s Sunset Country. These are fully equipped cabins some with a deck and barbecue and/or fish fryer. Inside are a fridge and stove, sink, running water and inside bathrooms including hot showers. Enjoy the Canadian wilderness on your schedule and avoid any fixed dining times. You are supplied with linens and the lodge is nearby for supplies or replacements. Housekeeping cabins are affordable meaning you can visit paradise for a week and it won’t break the bank. Since walleye bite at certain times of the day, a this package provides you the time flexibility to be out on the water when the fish are biting and come back for something to eat when they are not. Indian Point Camp in Dryden, Ontario offers housekeeping cabins that are all fully modern cabin rentals that can accomodate from 2-8 people. Each cabin has a view of the lake for you to enjoy a beautiful canadian sunset after a day of great fishing. Indian Point Camp807-937-6988 | 800-699-9390 http://www.indianpointcamp.comWebEmail Just steps from the lake! We have 10 housekeeping cabins on Lac Seul. Our housekeeping cabins located on Lac Seul are fully modern with well-equipped kitchens, complete modern bathrooms, All blankets, pillows & linens are furnished, except your personal towels. Barbecue grills & picnic tables provided. An Ontario fishing vacation at Whitewing Resort offers a choice of housekeeping cabins: 2 bedroom-3 piece bath; 2 bedroom-4 piece bath; 5 bedroom-two 4 piece baths, modern kitchens with electric fridges,stoves,coffeemakers,toasters,microwaves & more. 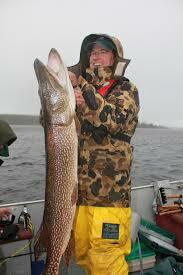 When planning your fishing or hunting trip to our remote area of Northwestern Ontario. Woman River Camp has clean, comfortable, 2,3,4 bedroom modern housekeeping cabins, fully equipped with all the amenities of home & a view of Little Bear Lake. Woman River Camp807-222-2068 http://www.womanriver.comWebEmail The ultimate secluded wilderness vacation! Our housekeeping cabins located on Off Lake near Emo, Ontario are a great location for a family or fishing vacation. It offers a sand beach, hiking trails and comfortable clean accomodations and fishing on Off Lake or the Pipestone Chain of Lakes. Camp Narrows Lodge offers fully equipped modern housekeeping cabins on NW Bay, north arm of Rainy Lake. The narrows offers trophy fishing for smallmouth bass, northern pike, walleye, and crappie. At the narrows we have it all. Our houseboats are fully modern, clean, well equipped floating housekeeping cabins, to enjoy your canadian fishing vacation on Lake of the Woods. The kitchens include pots, pans, cutlery, dishes, & microwaves everything you need. Houseboat Adventures800-253-6672 | 800-253-6672 http://www.houseboatadventures.comWebEmail Amazing fishing in Morson! We have 11 housekeeping cabins on Sabaskong Bay of world famous Lake of the Woods. Our remote fly-in outposts are spacious & fully equipped. These housekeeping cabins have kitchens, living areas, hot and cold running water with showers, propane stoves, refrigerators and freezers. For your safety we have Satellite phones. Looking for a relaxing family vacation to Canada? Enjoy our rustic housekeeping cabins with modern amentities, nestled among the trees in the wilderness on a remote secluded island setting in the middle of Lake of the Woods in Nestor Falls, Ontario. Our housekeeping cabins on Lake of the Woods in the Nestor Falls area come equipped with a private washroom, hot shower, fridge, stove, microwave, gas barbecue, utensils, dishes, blankets, linens, and all towels. All housekeeping cabins are situated near the lakefront with an excellent view. These accommodations vary in size and fit from 2 to12 people comfortably & are fully equipped with modern 3 piece bath, hot & cold water and full-size fridge & stove. Rainbow Point Lodge807-529-3143 | 1-800-282-9039 http://www.rainbowpoint.comWebEmail Just like home! Peffley’s Canadian Wilderness Camp offers housekeeping cabin rentals on Wabaskang Lake just north of Perrault Falls. Our 8 housekeeping cabins sleep from 4 to 8 people. Remote as we are, you will enjoy many of the amenities of home. Camp Lake St. Joseph has fully modern housekeeping cabins for your fishing or family vacation. Our cabin rentals can accommodate 4 to 8 guests and have all the convenience of home for a relaxing vacation in Ontario. Our Lake of the Woods resort has clean, modern, housekeeping lakeview cabins fully equipped with all the amenities, including A/C & Satellite TV, decks, firepits & LP BBQ’s. Enjoy a beautiful canadian sunset while on your fishing or family vacation. 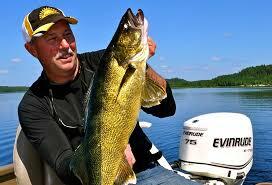 Fly-In Fishing Camp With Housekeeping Guest Cabins In Ontario, Canada. Fly-in fishing trips with comfortable guest cabins that enjoy a southern exposure on exclusive waters. Sydney Lake Lodge807-727-3111 | 800-437-9937 http://www.sydneylake.com/WebEmail Your own private oasis in Sunset Country! Our fly-in outpost locations and Viking Island in the Red Lake area of Northwestern Ontario offer comfortable housekeeping cabins with a spectacular view of the lake and great walleye and northern pike fishing. Viking Outposts and Island807-727-2262 http://www.vikingoutpost.net/WebEmail Well stocked, modern kitchens at Sunset Lodge. Our housekeeping cabins will be spotless & ready for you when you arrive. They accommodate 2 to10 persons, with hot & cold running water, flush toilets & showers. Each cottage is well equipped for your enjoyment & relaxation while on your vacation. Sunset Lodge on Red Lake807-727-2683 http://www.sunsetlodgeredlake.comWebEmail Fly-in with Knobby’s! Bamaji Lake consists of 6 extra-large housekeeping cabins set in amongst a stand of birch, with a 300′ sand beach. Each cabin rental is fully modern with all the amenities of home to ensure everyone will have a great fishing trip to Ontario. When on your fishing vacation at either Ghost River Lodge or Sturgeon River camp our housekeeping plan includes: Cabin rental, boat, motor, 5 gal. gas per day and portage in and out from car to camp. A houseboat is like a floating housekeeping cabin – it has all the amenities of a cabin but the freedom to enjoy your family vacation floating around Lake of the Woods, fishing & swimming or just enjoying the wildlife with no time restrictions. Our deluxe lakefront housekeeping cabins are sized to suit your requirements. While on your canadian fishing or family vacation enjoy the comfort & convenience of large decks, gas barbecues, 3 & 4 piece bathrooms, dishwashers & satellite television. Rent one of our housekeeping cabins. The package includes the fully equipped cabin, towels (changed once weekly) and linens. The cabins are on the shores of Indian Lake. For a canadian vacation for fishing or a family vacation Vermilion Bay Lodge offers clean and comfortable fully modern housekeeping cabins on Eagle Lake for our guests. We are conveniently located near Vermilion Bay, Ontario. Enjoy our comfortable, fully modern housekeeping cabins for your fishing trip to Eagle Lake. They are fully equipped with everything you will need to make your fishing or family vacation in the Dryden area the perfect location for you. Choose from modern cabins, rustic log cabins or our deluxe eagles nest and loons nest chalets. Our 9 remote outpost camps and 2 remote wilderness lodges all offer deluxe housekeeping cabins. All cabins are well equipped with hot 7 cold running water, 2 way radios, all appliances, hand crafted pine furnishings, large decks & gas barbeques. We offer housekeeping cabins at Smooth Rock Camp in Northern Ontario. Our housekeeping cabins are fully equipped and accommodate from 4-12 people. They are situated near lake level just steps from the beach. Basic cabin rentals, or newly renovated housekeeping cabins with all amenities (including satellite TV) on the shores of beautiful Banning Lake. The ideal base for your Canadian wilderness adventure whether it be fishing or a canoeing vacation. Cottages are equipped in every way; offering 2-3-4 bedrooms, 4 piece bath, kitchen & living room. All are outfitted with stoves, fridges, microwaves, coffee makers, toasters, cookware & satellite televisions. Our remote fly in housekeeping outpost cabins on several beautiful lakes in the White Otter Wilderness area, include all cooking utensils and silverware, hot & cold running water at the shower, vanity & kitchen sink, propane range and refrigerator. Our housekeeping cabins on Perch Lake in Atikokan, Ontario are fully modern & equipped with air conditioner, satellite tv, modern appliances. 1,2,3 or large 6 bedroom group cabins rentals perfect any size party. Come as a guest, leave as our friends. We have the newest housekeeping units available in Northwest Ontario. Five new cabins built in 2000! Our resort on Eva Lake offes a housekeeping package so if you prefer to follow your own agenda,it allows you to sleep late and plan your own meal schedule. Each housekeeping cabin has air conditioning and four-piece baths, and is fully equipped. Our housekeeping cabins are great for your Canadian fishing trip, annual family vacation or your summer getaway. All cabins come with cooking utensils & dishes, 4-piece bath, hot & cold running water, bed linens, blankets etc. Bring your own towels. At Black Island Resort our housekeeping cabins are fully modern with great views from all the cottage rentals of Lake of the Woods, a perfect secluded setting for your fishing or family vacation to Canada.